grandma's cookie jar: Grandprints - One of My Favorite Songs! Several of the Grandmas with Heart are also part of the Legacy Coalition. 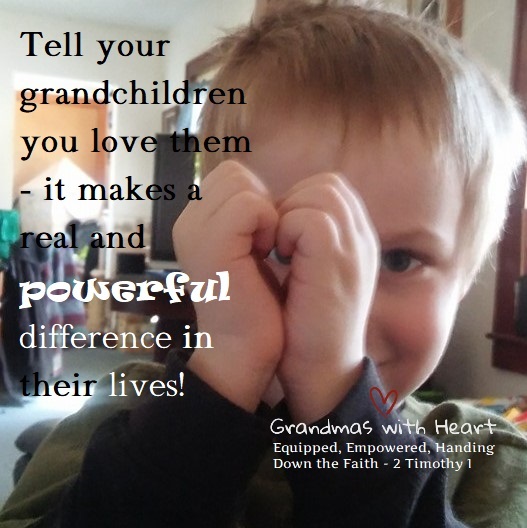 It is our heart's desire to see grandparents stand up and commit to be intentional Christian grandparent who are focused upon handing down a heritage of faith to their grandchildren and help churches become intentional when it comes to equipping their grandparents to be intentional. One of the ways the Legacy Coalition does this is with the Legacy Grandparenting Summit - an opportunity to hear from amazing speakers and singers who encourage and equip grandparents to be intentional in handing down their faith. So far there have been two Summits and another is planned for next year - watch for details as they become available. Last year Scott Wesley Brown was one of the people who sang at the summit - he shared his new song - Grandprints - which he wrote especially for the Legacy Coalition's Grandparenting Summit! Just listen to this amazing song . . .
"The pictures hang upon our walls, from the time when you were small. And each night before we sleep, we pray the Lord your soul to keep. To our children's children we've just one wish, for you to know Jesus Christ for who He is. When all is said and done we pray we've left His mark through our grandprints on your heart! Through our grandprints on your heart!From finger-paintings on the fridge to soccer games and your first kiss, Through it all we've tried to show That Jesus loves you, this we know. To our children's children we've just one wish, for you to know Jesus Christ for who He is. When all is said and done we pray we've left His mark through our grandprints on your heart! Through our grandprints on your heart!And year by year we grow in grace, to leave a legacy of faith, so together we will see Him face to face! To our children's children we've just one wish, for you to know Jesus Christ for who He is. When all is said and done we pray we've left His mark through our grandprints on your heart! Through our grandprints on your heart! To our children's children we've just one wish, for you to know Jesus Christ for who He is. When all is said and done we pray we've left His mark through our grandprints on your heart! Through our grandprints on your heart! Through our grandprints on your heart! Your pictures hang upon our walls, from the time when you were small."